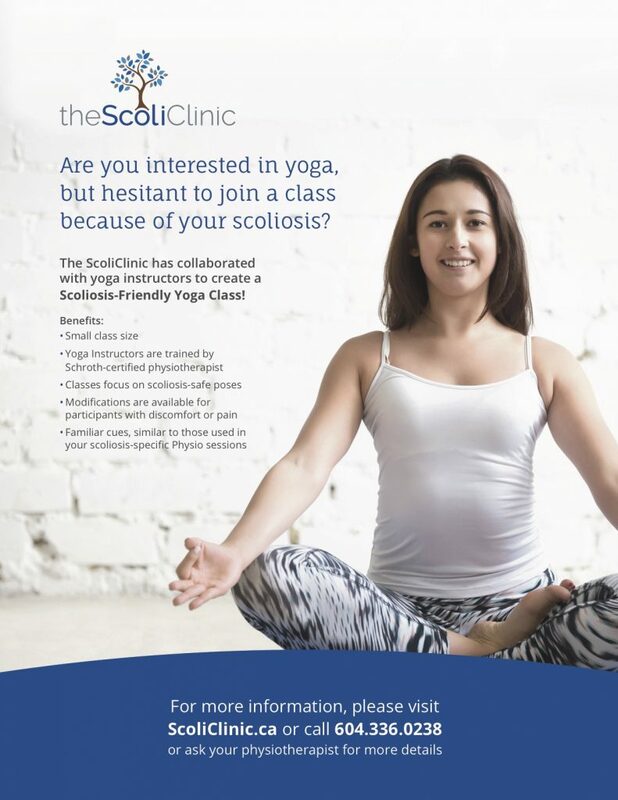 We’ve collaborated with the talented yoga instructors Kerr McLeod and Anne Zavalkoff to offer scoliosis-friendly yoga classes in our Vancouver AND North Vancouver locations! These classes incorporate scoliosis principles and language based on the Schroth Method into traditional yoga poses, and are heavily focused on teaching participants how to modify movements so they can participate in community yoga classes. Please email vancouver@scoliclinic.ca or northvan@scoliclinic.ca to sign up!